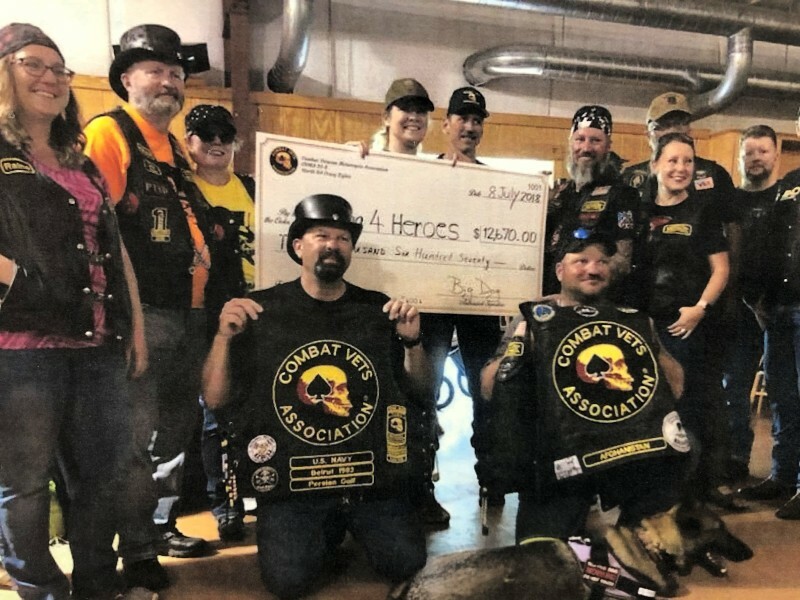 We invite you to our annual Ride 4 Life event,​ the largest veteran fundraising and community appreciation event in NW Georgia. 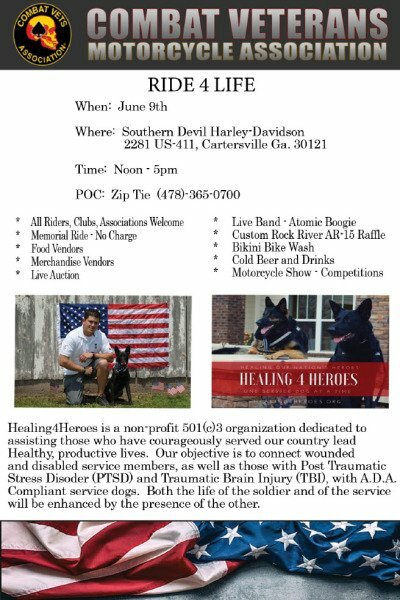 We are expecting 2,000 people in attendance, so come out for a fun filled day of entertainment, festivities, and meet many of our nations heroes-our military veterans. 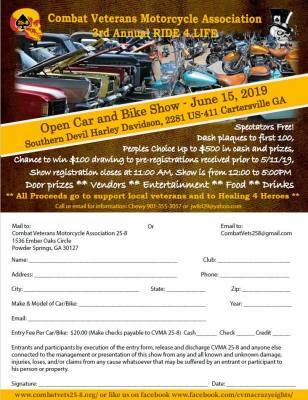 Enjoy festivities with the Michael Allman Band, several food and merchandise vendors, cold drinks, military heritage hardware, car/bike show, gun raffles, Harley-Davidson motorcycle raffle and an escorted memorial bike ride. 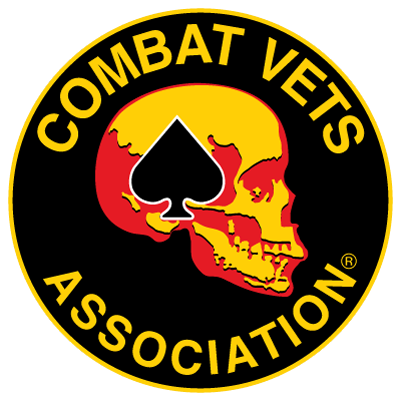 All proceeds go towards veterans and Healing 4 Heroes, both 501(c) non-profit organizations. 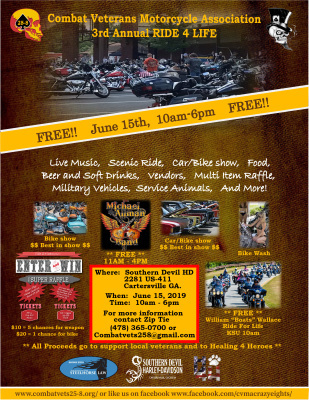 We hope to see you there and help us celebrate our annual Ride 4 Life event. Interested in becoming a vendor? 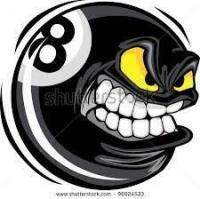 We do not charge vendor fees but donationsto our cause is always welcomed. Come out and make some money, network and have some fun celebration and supporting our cause. Email us at [email protected]​ to express your interest and get on our vendor list.